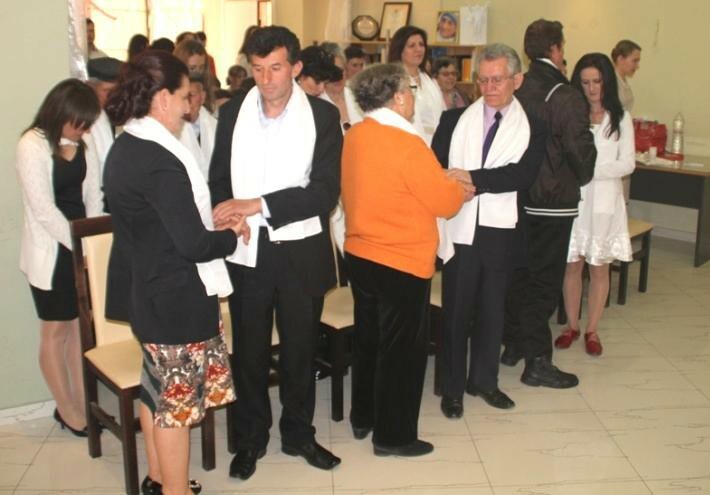 FFWPU Albania: In the sunny morning of 15th March 2015, parents, relatives and Ambassador for Peace and guest of WFWP gathered together in Albanian HQ to attend Cosmic Blessing Ceremony 2015. 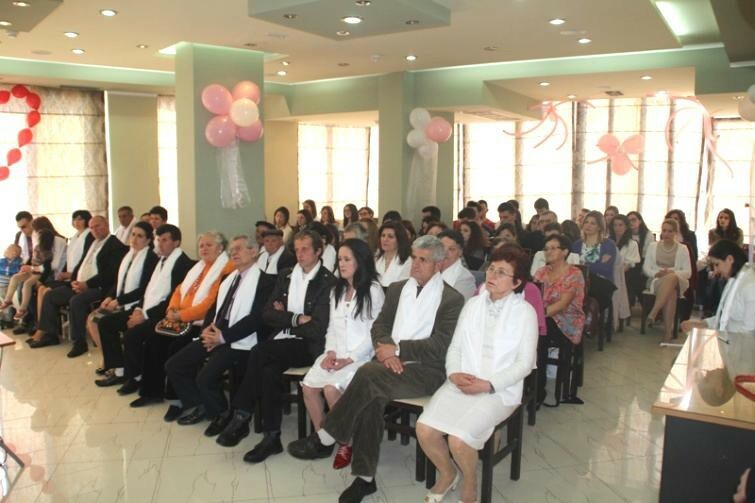 On the weeks ahead of this ceremony, there were several workshops to prepare couples for the blessing in Tirana, Durres, Elbasan, Vlora, Fier, Korca where was explained to the participants Essence of Divine Principle, importance and the process of Blessing. Finally, 15 couples could attend the Blessing Ceremony, mostly parents of our members and five members of WFWP. 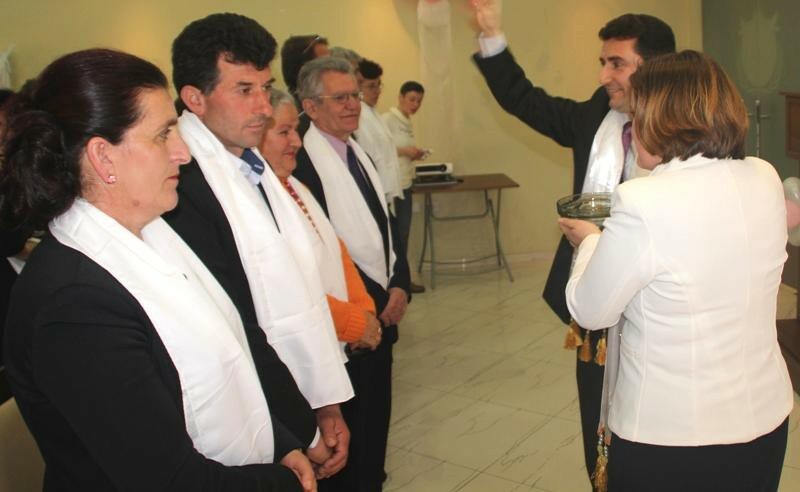 Albania is continuously showing, especially in these cases, that is a tribal society and only through relatives we can prepare the couples for the Blessing. The Blessing Ceremony was moderated by the blessed family Gabor & Manjola Vasmatics. They did a short presentation on the Blessing Ceremony and there was a Hoondok reading from Peace Message no. 12, the true love and importance of blood lineage for all the audience. After that, Mr. Gani Rroshi gave a welcoming message to all the participants to prepare their hearts and minds for the Blessing Ceremony. 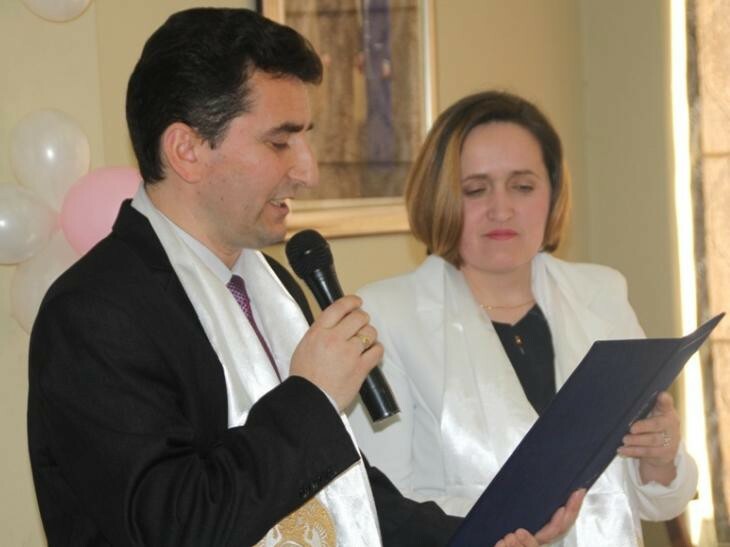 The Cosmic Blessing Ceremony was officiated by Gani & Marjeta Rroshi, as representatives of True Parents in Albania, to bring forward the legacy of True Parents until all the people will be blessed. The ceremony touched the hearts of the participants who expressed deep appreciation and gratefulness for the beauty and holiness of this ceremony. Special thanks go for all the brothers and sisters who invested in their respective cities to prepare the couples for the blessing and to those who tirelessly helped with the practical preparations such as decorations, cocktail, etc., that everything can be perfect and to create a heavenly atmosphere as the wonderful Cosmic Blessing Ceremony deserves. 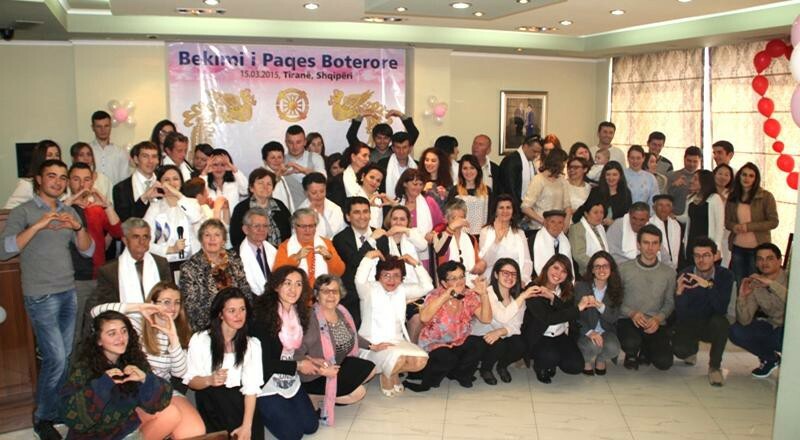 Also, we would like to mention that on 3rd of March 2015, 4 couples from Albania could attend the main Blessing Ceremony in Korea. They are Ermal Elbasani & Mirjeta Berisha (Albania – Kosovo), Nertil Hoxhalli & Jenifer Gonzalvo (Albania – Philipine), Jun Chan & Eva Kondili (UK & Albania) and Beqir Kaculi & Sidorela Hoxha, engaged couple from Albania. The miracle in all of this, is that we are continuing to pass on True Parents tradition and step by step making substantial the nation of CIG, fulfilling God’s hope and True Parents Hope!